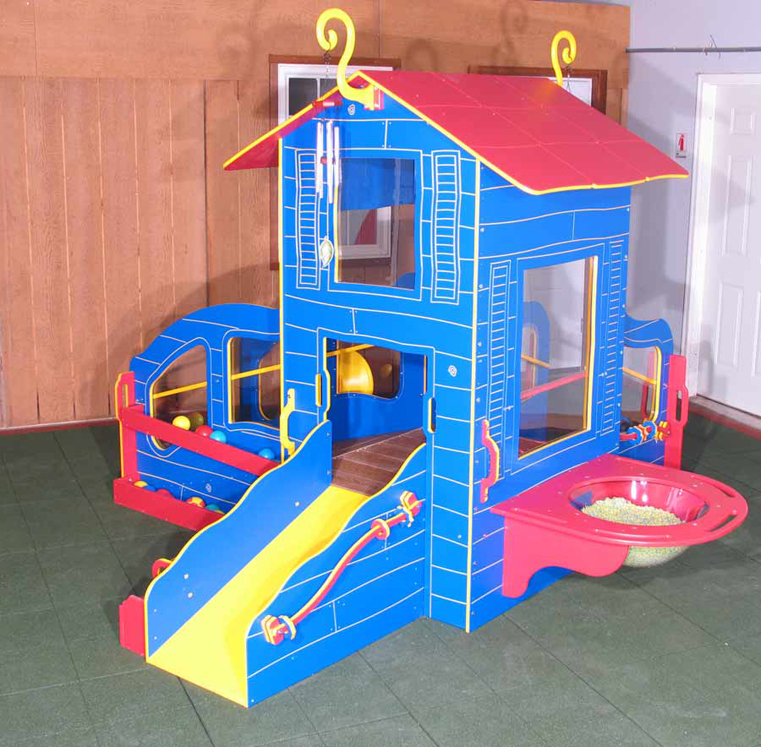 This masterfully designed structure is engineered to be the perfect solution for the modern infant/toddler yard. It combines every safety element imaginable. It supports many early developmental skills including gross motor skills, cognitive and creative play skills, as well as social emotional skills. 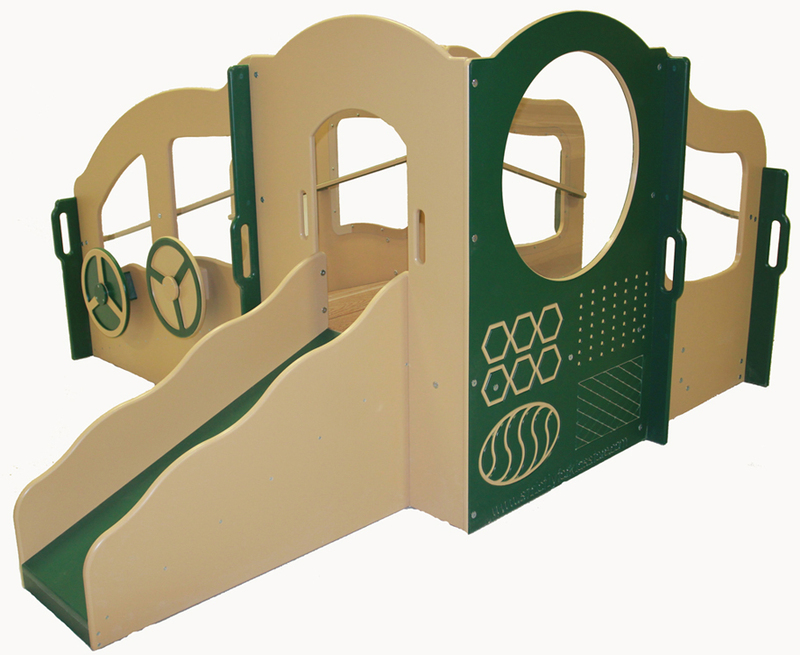 The two-color texture panel with balance rail supports the development of tactile and visual perceptual skills. 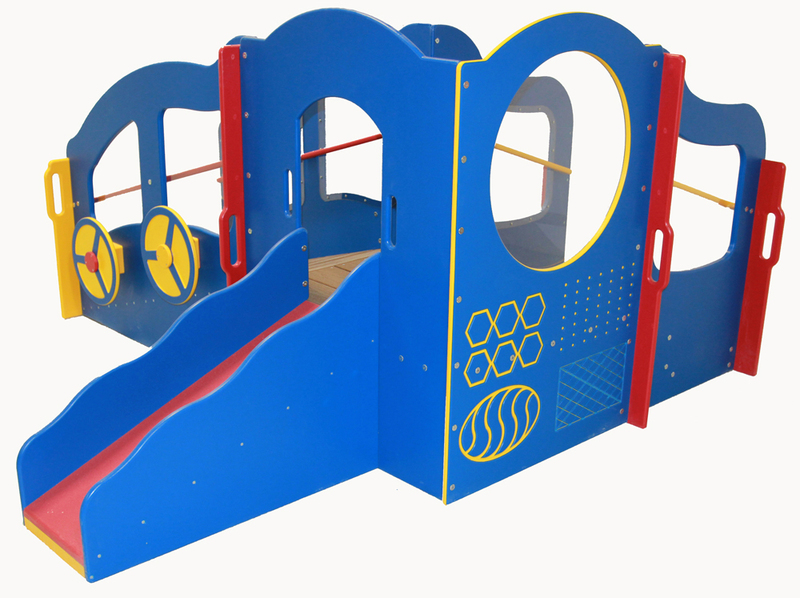 Includes 1-set of safe, extra deep steps with closed-off risers to support the child's mobility and safe pattern of play as they balance and navigate the stairs. 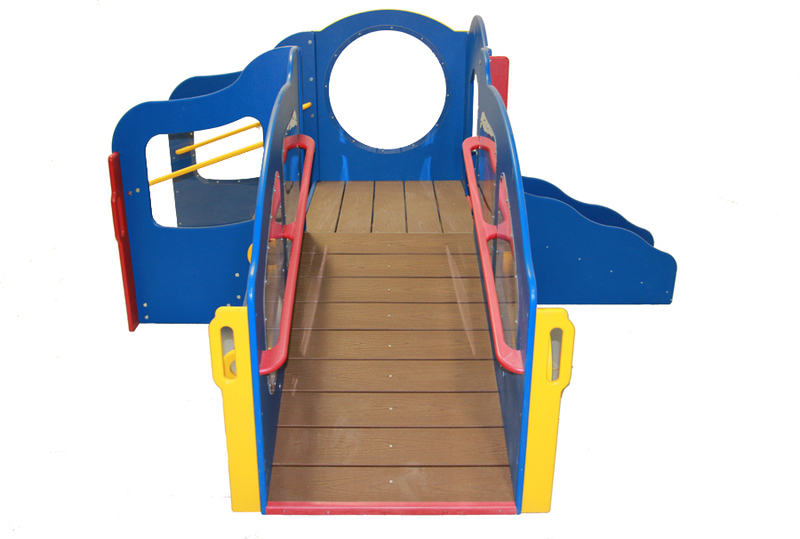 The width is designed to be ideal for a child to grasp one hand rail while climbing the stairs, as a second child may grasp the opposing rail to exit down the stairs safely and simultaneously. 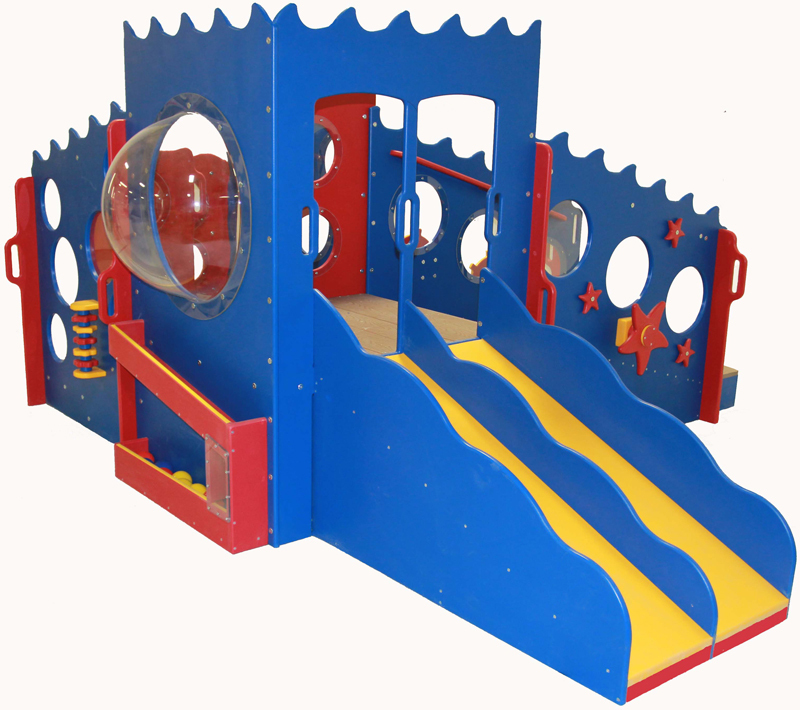 The landing at the bottom creates an extra gathering space for the toddler to interact with others. 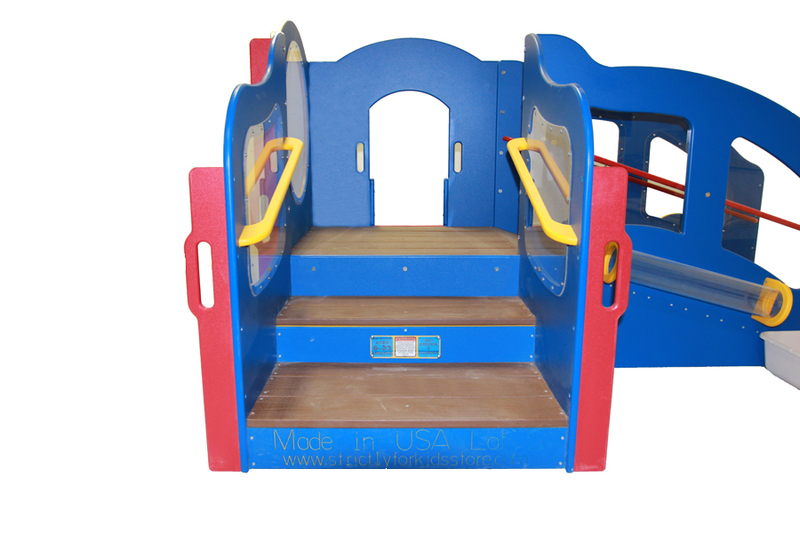 One of the two cruising rails on either side can be used, as support, by the child to pull themselves up, maintain balance and learn to walk up the gentle incline. The tracking tube helps develop eye-hand coordination and supports early pre-reading skills (learning to track from left to right). 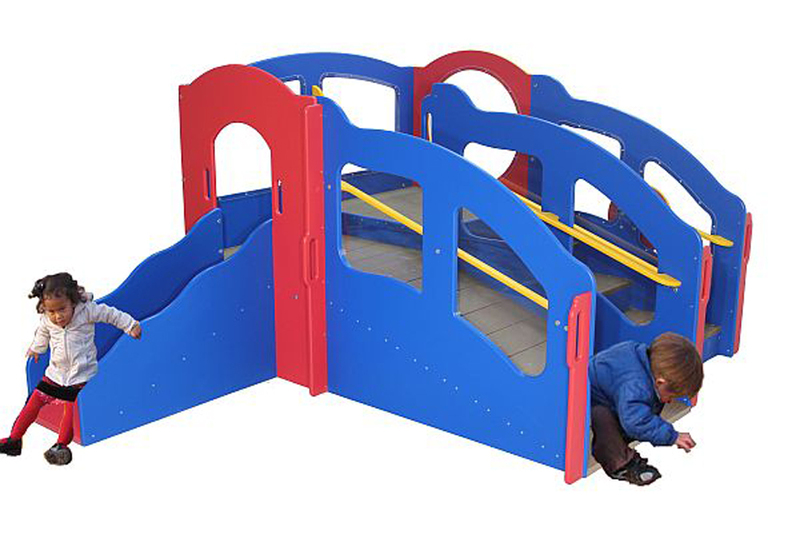 The structure also features 1-deck and 1-slide with safety barrier above to prevent "headers" by requiring the child to sit before exiting. 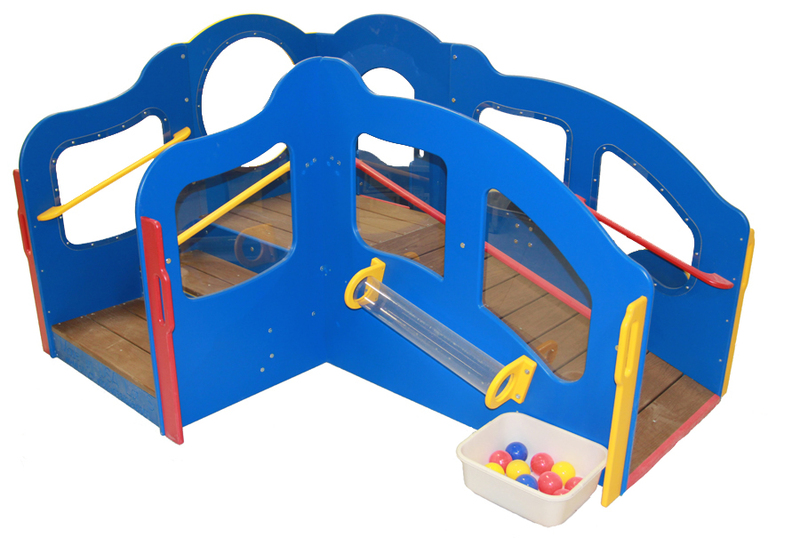 Two steering wheels are placed closely together to promote cooperative play. 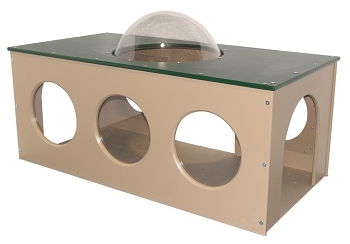 Indestructible Lexan windows are included throughout for visibility. Includes a total of 3-ground level activities. Extremely heavy duty 3/4" Polyethylene construction. Meets ASTM F 2373-11 Standards and CPSC Guidelines. 88"w x 77"d x 48"h, 16"h deck. Ages 6 - 23 mos. Use Zones: In a supervised, limited access setting is 13'8'' x 12'8'', in an unlimited access setting is 19'8'' x 18'8''. Arrives semi-assembled, installation requires approximately 60-90 minutes. 15 Year warranty.